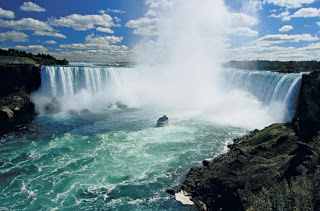 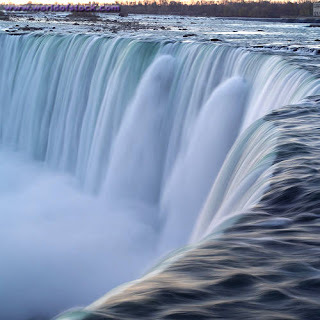 Niagara Falls is a Canadian city on the Niagara River in the Golden Horseshoe region of Southern Ontario. The municipality was incorporated on June 12, 1903. 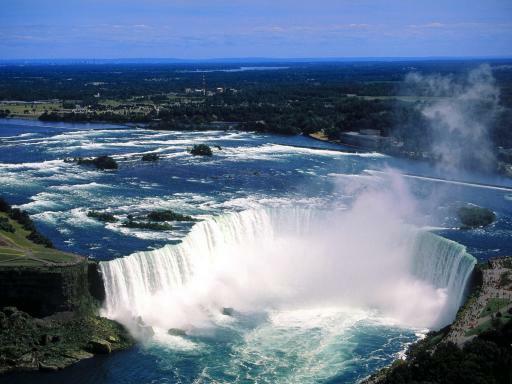 Across the Niagara River is Niagara Falls, New York. 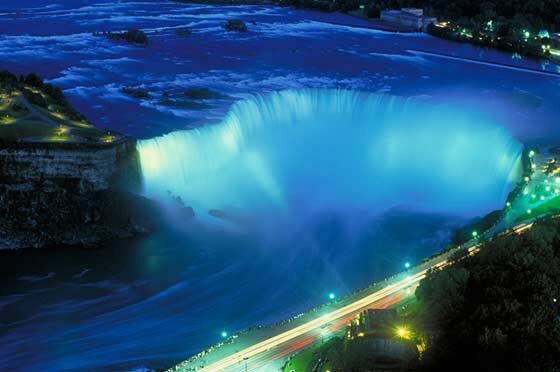 The city is dominated by the Niagara Falls, a world famous set of two large waterfalls on the Niagara River and benefits from the fact that both falls, the American and Horseshoe, can be best seen from the Canadian side of the river, thus presenting the city one of the major tourist attractions of the world. The natural spectacle brings in millions of tourists yearly. The city permitted the development of a tourist area along the falls and the gorge. 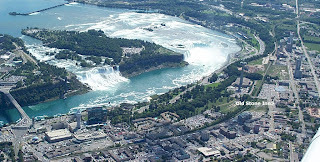 This area which stretches along the Niagara Parkway and tourist promenade is particularly concentrated at the brink of the falls and, apart from the natural attractions along the river, includes huge parking lots, souvenir shops, observation towers, high-rise hotels, casinos and theatres, mostly with colourful neon billboards and advertisements. 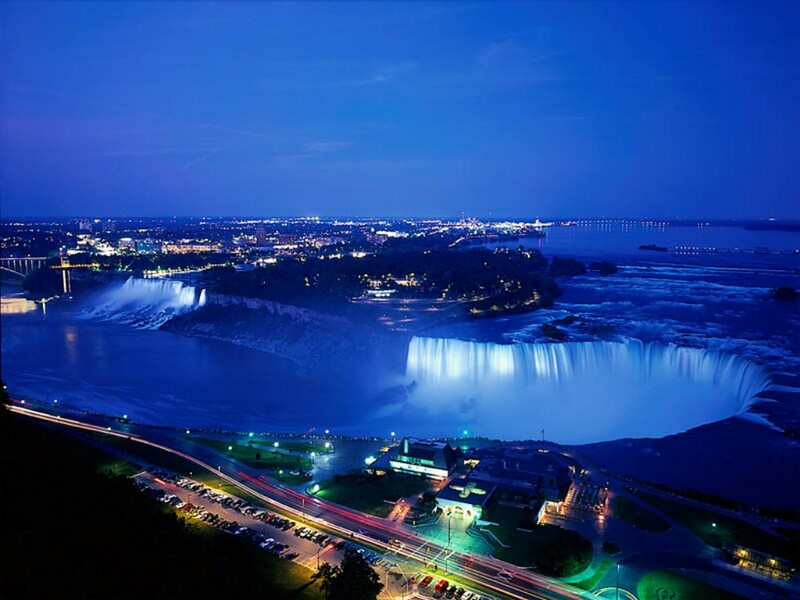 Further to the north or south there are golf courses alongside historic sites from the War of 1812.